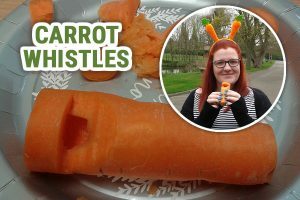 Make a carrot whistle for Beacon Park’s Carrot Day! Don’t forget to bring your carrot whistle! As part of Beacon Park’s inaugural Carrot Day on Wednesday 17 April, taking place between 11am and 2pm, we’re inviting people of all ages to make a carrot whistle to bring down to the park and become part of the Carrot Day Orchestra! 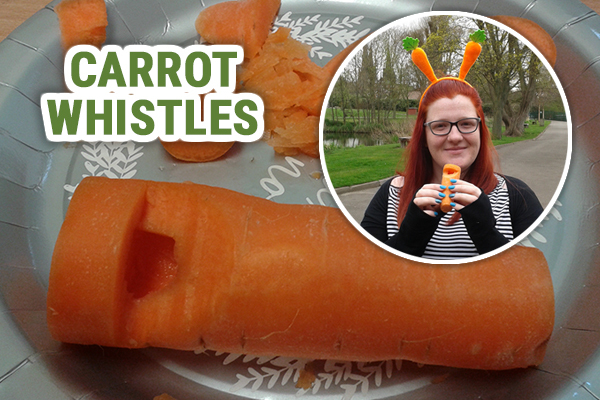 To find out who to make your very own carrot whistle, simply do an online search for ‘how to make carrot whistles’. Children will need to be helped by an adult – and do take care using tools and sharp objects. We’ve found that the best whistles are made with large, fresh carrots. Some instructions will suggest adding finger holes to make different notes (more like a recorder than a whistle) but in our experience, adding the holes sometimes stops the whole thing from working, so just a single note whistle will do the job. There will be two chances to be part of the Carrot Day Orchestra: at 11.30am and 1.30pm. Simply come along to the Community Garden in Beacon Park to join in. There will also be lots more carrot related activities for you to take part in, including making a selfie carrot, carrot printing, carrot javelin and carrot orienteering. Hope to see you there!